Thanks for checking out my blog! This is a way to showcase my recent work and for you to get to know me- my personality, family, style, passion, sense of humor, likes and dislikes, what’s on my mind…you get the idea. Picking a wedding or portrait photographer is very personal–I think that you should LOVE your photographer; after all, you are trusting them to record some of the biggest moments in your life. Reading my blog should help you to determine if we are a match! Please feel free to post comments or shoot me an email to speak further. 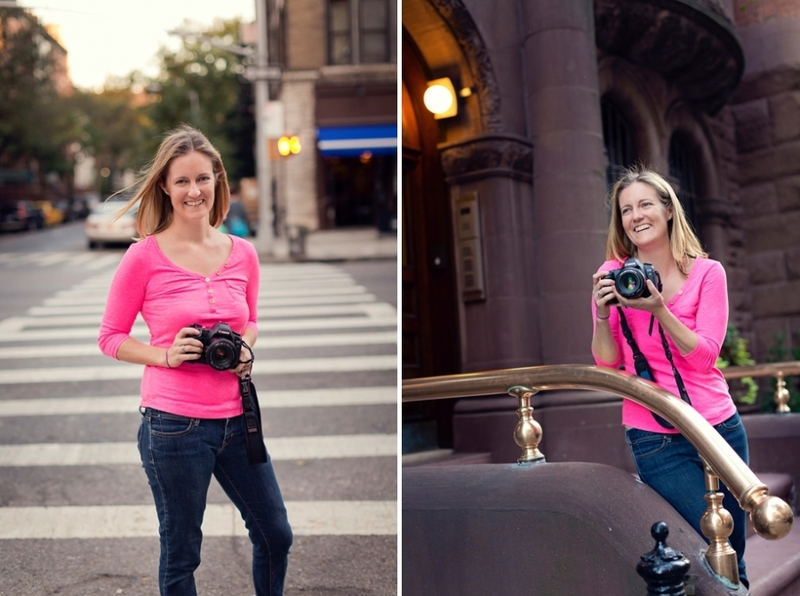 Sarah O’Keefe Greig has had a camera around her neck for as long as she can remember. She loves framing the world around her- big and small- from the first kiss at a wedding to the face of a three-year-old in the midst of an uncontrollable giggle. In addition to logging many hours in the darkroom in high school and college (Yes, a real darkroom! ), Sarah studied photography at Rocky Mountain School of Photography in Montana and Parsons School of Art and Design in Paris. Sarah holds a B.A. in Fine Arts from Amherst College and an M.A in Art History from Tufts University. She has worked in the photography departments at the Museum of Modern Art in New York and the Museum of Photographic Arts in San Diego. Researching and writing about the work of many masters has trained her eye to use an intricate balance of composition and light in her own photography. Sarah shoots weddings, children’s portraits, events, and fine art. She lives on the Upper West Side in New York City (with a recent stint in Sydney) with her husband and three kiddos and teaches architecture to 1st and 2nd graders in her free time. When not traveling, Sarah can be found spending time with her large, wild Irish family and enjoying all things New England. Amazing photo of the boats in Madison CT – really captures the summer ending feeling. Love your blog and your work. © 2019 Sarah Greig Photography|ProPhoto Blogsite by NetRivet, Inc.